The home inspection industry has been a major part of the real estate scene since the early 1970s. As the consumer demand for homes, property, and rental units increases, the demand for home inspection professionals increases as well. This recently established but steadily growing industry is one of the top tools in helping home buyers make enormous financial, and life, decisions. This line of work requires a dedicated individual who’s savvy enough to understand what buyers want, and educated enough to know when to turn buyers away. Does this sound like something that might pique your interest? We thought so. Join us as we explore the ins and outs of being a home inspector, the steps it takes to get there, and what you can expect as a home inspector. A home inspector is described as an individual who provides prospective home buyers with an accurate, documented, and professional opinion on a home or property based off of several different tests and home factors. Home Inspectors typically spend their days evaluating homes, writing reports, discussing issues and complications with prospective buyers, working with real estate agents, and managing their home inspection careers. Inspectors spend quite a bit of their time physically inspecting homes to look for issues, solve problems, and thoroughly evaluate if the home itself is a good choice for the prospective home buyers. Typically, home inspectors have a medium-income salary ranging anywhere from $57,238 to about $78,260. The median salary for a home inspectors falls right at $66,461 annually, with ranges based on experience, location, and personal services. Home inspectors are often employed by government agencies, real estate companies, and other public companies, meaning they’re likely to have medical and health insurance, paid annual leave, and a retirement plan in place. Understanding what requirements and licenses you’ll need to become a home inspector in your state is going to be the first step on your journey to your new career. There is no single standard for a career home inspection and it will always vary by state, so understanding what you need to do, what requirements you must have, how many hours of courses you must complete, and what exams you must take for your license is going to be the first step. Some states require nothing more than a high school degree and no license whatsoever (such as Idaho) while others, like Texas, require coursework, exams, license, and apprenticeship. Because it varies so much, it’s important to get the direct details for your state. Ensure that you’re meeting every regulation and requirement for your state. If you’re located in Texas, complete your coursework, pass your exams, get your license, and find an apprenticeship in order to get the show on the road. If you’re located in a state that simply requires an exam to get your license, ensure that you’re doing all that you can to pass the test — if this includes signing up for coursework that teaches you how to pass the exam and gives you background on the how-to’s on becoming a home inspector, that’s even better. Overall, ensure you’re meeting every requirement you researched. Whether your state requires experience, and apprenticeship, an internship, or nothing at all, we suggest always reaching out to a mentor in order to better understand the industry. Work with your mentor for a few months, or years, in order to learn all that you can about home inspecting. Your experience needs to be in more than just home inspecting practice though. Ensure that you’re learning about all aspects of real estate, people skills, construction, and more. Being well-rounded and understanding every aspect of building and owning a home is going to provide you with the relevant information you need to become a standout home inspector. Even if you pass the required courses and exams, we suggest continuing your education to cover all your bases for home inspection. Try to find courses that cover structural issues, heating, cooling, insulation, ventilation, wood burning appliances, pools, and more! The more individual facets of a home that you understand and feel confident with, the better home inspector you’ll be. The requirements for home inspectors vary in every state, which is why it’s incredibly important that you stringently check your home states requirements. Some states, such as Texas, require everything from coursework to apprenticeship, while others, like Idaho, require nothing at all. If your state requires you to complete a course (even if it does not, it’s the right move to enroll in one for better training), you’ll likely have to complete an average of 75 hours of training to become a home inspector. This changes based on the state you’re in, so it’s incredibly important to check your state’s requirements diligently. Most states will require that you become certified as a home inspector. 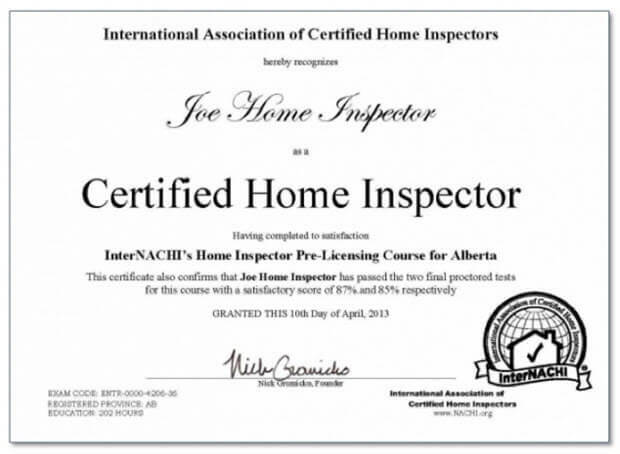 This is possible through associations like the International Association of Certified Home Inspectors. You’ll be required to take your National Home Inspectors Exam (in most states), and will be required to have undergone a certain amount of training base don the state you’re in. Some states will require that you’ve worked on a certain number of home inspections under supervision before you’re able to receive your license, while others require you to perform a home evaluation on your own and send in for evaluation. You are also able to test for the Residential Building Inspector Certification, too. What is the Job Outlook for Home Inspectors? According to the Bureau of Labor Statistics, the home inspectors industry is looking to grow at a rate of about 10 percent from 2016 to 2026. Though this is not an incredible number, the BLS states that it’s faster than the national average for most occupations. As public safety and the desire to improve both the construction and real estate industries continue to increase, the demand for home inspectors will continue to increase as well. And as employment in jobs like engineer, construction and more grow, the need for inspectors is greater than ever and is likely only going to increase with time. That's a higher than average projected growth of 10,600 jobs. Should You Become a Home Inspector? This leads us to the end all be all question. Should you, once you’ve weighed all the odds, become a home inspector? There are dozens of factors to consider, especially when it comes to salary, job outlook, and overall satisfaction. Not to mention the time and effort it may take to switch up your career. Let’s take a look at a few of the factors below. The average salary for a home inspector ranges anywhere from $57,238 to about $78,260. That’s a bit higher than the national average, and if you have extra experience, licensing, and opportunity, it’s possible to make even more. One of the biggest factors that goes hand-in-hand with salary is that often, when working as a home inspector, you’re working with a company that will also provide you with health and medical insurance as well as a retirement plan and other benefits. The BLS places home inspectors job occupancy rate at a growth rate of 10 percent over the 2016-2026 time period. The BLS categorizes this as a high growth rate. This will vary state by state. Most states will require a high school diploma or GED equivalent, followed by a passing grade on the state board exam. Other states might require coursework (on average, about 75 hours), prior experience, hands-on practice, an apprenticeship, and more. Other states require no additional education whatsoever. It’s important to check with your state regulations and requirements when researching your opportunities in your state. Q. How Much Does a Home Inspector Make Annually? Home inspectors can expect to make a median salary of around $66,000 yearly. The range of salaries begin near $57,000 and cap off around $78,000. Q. What Kind of Education is Required to be a Home Inspector? Home Inspectors educations will vary by state, but it’s typically a safe bet to assume that you’ll need a high school diploma or GED equivalent, a passing grade on the state test, some form of certification, and experience to boot. Q. What Does a Home Inspector Do? As a home inspector, you’ll be evaluate the conditions of home and building (both interior and exterior) for prospective home buyers in order to report any problems or violations that you might discover. Q. 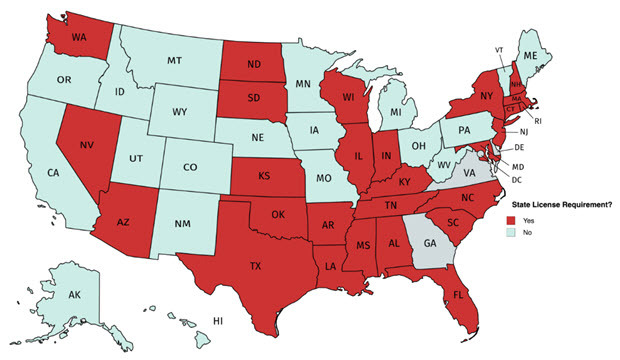 Which States Require License to Work as a Home Inspector? Each state varies on the requirements needed. Q. Is a Degree Required to be a Home Inspector? I was very pleased to find this web-site. I wanted to thank for your time for this wonderful read!! I definitely enjoying every little bit of it and I have you bookmarked to check out new stuff you blog post. Demand for homes, property, and rental units are on the increase and so the demand for home inspection professionals is increasing as well. This is the time for serious persons to grab the skill, join the industry and help home buyers make enormous financial, and life, decisions. Huh? Home Inspectors spend their days evaluating homes, writing reports, discussing issues and complications with prospective buyers and working with real estate agents? I must have had a different idea altogether. I’m located in Texas, I’ve completed my coursework, passed my exams, almost getting my license, and trying to find an apprenticeship. It’s also amazing that the pay for house inspectors in Texas is almost $68,401, it is encouraging. Yeah, no doubt employment in jobs like engineering, construction and more are growing. The need for home inspectors is greater than ever and is likely only going to increase with time. I’ll suggest that people interested in the field should get the skill now before the market gets crowded. 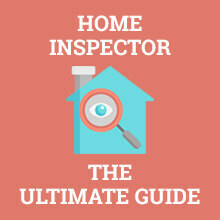 Thanks for a great guide, I’m currently in the process of looking for as much info about how to become a home inspector online as I have known for a long time this is what I want to do. Your guide helped me a bunch. Thanks!